Harry Shum is Microsoft’s executive vice president for AI and research. 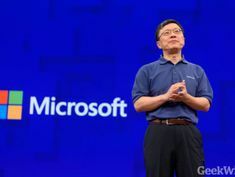 (GeekWire Photo) Microsoft will “one day very soon” add an ethics review focusing on artificial-intelligence issues to its standard checklist of audits that precede the release of new products, according to Harry Shum, a top executive leading the company’s AI efforts. AI ethics will join privacy, security and accessibility on the list, Shum in San Francisco. Shum, who is executive vice president of group, said companies involved in AI development “need to engineer responsibility into the very fabric of the technology.” Among the ethical concerns are the potential for AI agents to from the data on which they’re trained, to through deep data analysis, to , or simply to be . Shum noted that as AI becomes better at analyzing emotions, conversations and writings, the technology could open the way to increased propaganda and misinformation, as well as deeper intrusions into personal privacy. In addition to pre-release audits, Microsoft is addressing AI’s ethical concerns by improving its facial recognition tools and adding altered versions of photos in its training databases to show people with a wider variety of skin colors, other physical traits and lighting conditions. Shum and other Microsoft executives have discussed the ethics of AI numerous times before today: Back in 2016, Microsoft CEO Satya Nadella for AI research and development, including the need to guard against algorithmic bias and ensure that humans are accountable for computer-generated actions. In a book titled “The Future Computed,” Shum and Microsoft President Brad Smith , supported by industry guidelines as well as government oversight. They wrote that “a Hippocratic Oath for coders … could make sense.” Shum and Smith , or Aether. 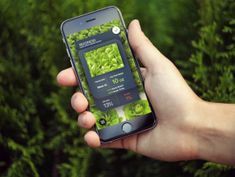 Last year, Microsoft Research’s Eric Horvitz said due to the Aether group’s recommendations. In some cases, he said specific limitations have been written into product usage agreements — for example, a ban on facial-recognition applications. Shum told GeekWire almost a year ago that he hoped the Aether group would develop — exactly the kind of pre-release checklist that he mentioned today. Microsoft has been delving into the societal issues raised by AI with other tech industry leaders such as Apple, Amazon, Google and Facebook through a nonprofit group called the . But during his EmTech Digital talk, Shum acknowledged that governments will have to play a role as well. 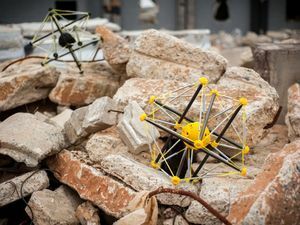 The nonprofit AI Now Foundation, for example, has called for , with special emphasis on applications such as facial recognition and affect recognition. Some researchers have called for creating a who can assist other watchdog agencies with technical issues — perhaps modeled after the National Transportation Safety Board. Others argue that entire classes of AI applications should be outlawed. In an and an , a British medical journal, experts called on the medical community and the tech community to support efforts to ban fully autonomous lethal weapons. The issue is the subject of a this week. 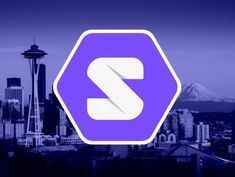 More changes are going down at , the Seattle-based cosmetic treatment review platform. RealSelf CTO and vice president of product will leave the company within the next month, GeekWire has learned. Both are longtime RealSelf employees — Woodward joined the company in 2014; Brooks came on a year earlier. RealSelf confirmed the departures and provided this statement, attributed to CEO Tom Seery: Matt and Scott have made a huge impact at RealSelf and were instrumental to getting us to a place where we’ve attracted both world class technical talent and investors. Their transitions from the company over the next month is mutually understood as a healthy and appropriate change for the business and their teams. I am grateful to both and know they will continue to make a difference at their next role. For RealSelf this means we’re actively recruiting for a chief technology officer and VP of product, which represent rare opportunities to be part of a company that is transforming an industry and helping people make smart, confident self-improvement decisions. Before landing at RealSelf, Woodward spent six years at Microsoft and another seven years at Expedia. He co-founded a startup called Shutterous.com in 2011. Brooks is also an Expedia veteran, having spent more than 11 years at the travel giant. He was also a product leader at Zillow. We’ve reached out to Woodward and Brooks and will update this story when we hear back. This past January, RealSelf 14 percent of its workers, or 36 employees, as part of a company-wide reorganization. Founded in 2006, RealSelf raised its first substantial round of outside capital this past April to fuel growth of its Yelp-like marketplace business that helps people learn more about cosmetic procedures. 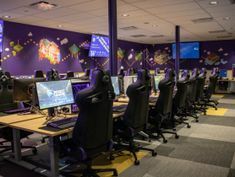 That led the company to grow headcount by 40 percent last year. “Like many companies, you grow ahead of your growth and that growth just hasn’t been showing up at the rate we thought it would,” Seery told GeekWire in January. RealSelf blamed slowing site traffic on a Google search algorithm change made last year. The company planned to change its marketing strategy and will continue to hire in 2019, albeit at a reduced growth rate compared to 2018. 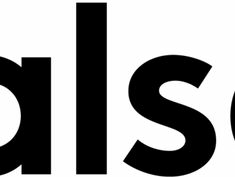 Some executives are in Austin this weekend for SXSW, where RealSelf is the “RealSelf House of Modern Beauty.” RealSelf has more than two million reviews and 20,000 registered doctors on its platform, which helps users learn about procedures like botox, Invisalign, or breast implants. In 2017, 94 million people from 100 countries used RealSelf; it averages 10 million unique visitors per month. 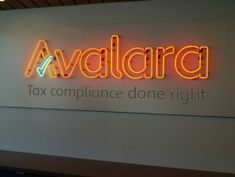 (GeekWire Photo / Nat Levy) Seattle-based tax compliance company Avalara has acquired Indix, a Seattle startup that had accumulated vast amounts of data on product information. Indix CEO Sanjay Parthasarathy. (Indix Photo) Avalara, which went public this past June year, will use Indix technology to bolster its tax content database that includes everything from international product codes and classifications to taxability rules. “We believe the combination of deep product knowledge, broad product content, and artificial intelligence technology will allow us to provide our customers the information they want and need to factor compliance into their business decision-making, and for Avalara to address more compliance requirements to support their growth,” Avalara CEO Scott McFarlane said in a statement. Founded in 2013 by former longtime Microsoft executive , Indix developed an intelligence platform that helps businesses analyze and visualize product information across various industries. The company had raised more than $30 million from investors. “From day one, we built Indix to collect, organize, and structure the world’s product information using artificial intelligence,” Parthasarathy said in a statement. “With the addition of the Indix expertise, Avalara will be able to efficiently and rapidly refine its content to meet the expanding and evolving needs of its customers.” Parthasarathy is well known in Microsoft circles. He into the tech giant’s product group in the early 1990s. The Indix homepage now redirects to Avalara’s site. We’ve followed up with Avalara and Indix for more details about the acquisition and will update this post when we hear back. Last month Avalara Compli, a California-based company that helps makers of alcoholic beverages comply with government rules and regulations. Avalara has grown to more than 1,500 employees across 12 offices around the world. Avalara a net loss of $9 million on revenue of $69.5 million for the third quarter. Its stock is down about 10 percent from its IPO price. The company will report fourth quarter earnings next week.